Nutrunner offer Battery Torque Multiplier, Electric Torque tools and Pneumatic Nutrunner tools. 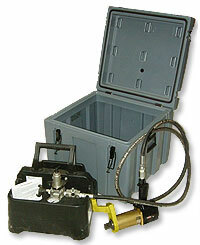 RAD Pneumatic nutrunner: speed up maintenance & shutdowns on high torque applications. RAD Nose Extension are engineered to enable the use of pistol grip nutrunner tools into difficult to access areas where a standard tool would not normally fit. 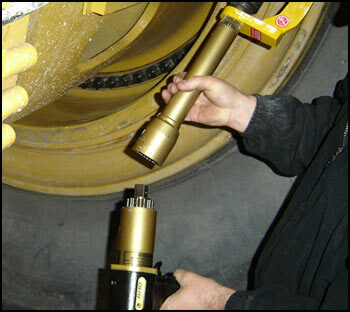 The extension remove the need to use impact extension shafts which can put the operator in danger and subject the tool to excess side loading. The extension offer a variety of reaction arms to ensure our tools are achieving 100% of their performance. 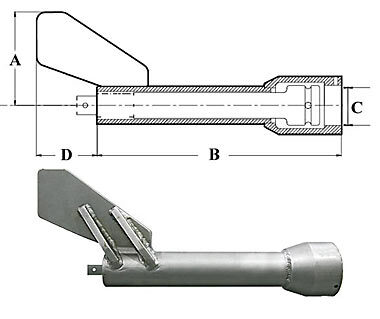 The Nose Extension engages directly with the spline of the Tool, thus removing the movement generally associated with extension bars. This movement is due to the loose fitting on the square drive. The fitting to the Tools spline is a finely machined spline fit, with close tolerances, thus holding the tool rigid. Adding to the stability of the Tool, the reaction arm is at the socket end of the nose extension. This means all the forces involved in tightening and breakout are held closely together. No reaction forces are taken up by the Operator. 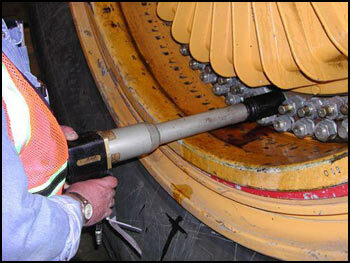 An important factor when dealing with potentially 200 bolts on the large earthmoving equipment wheel. Custom reaction arms are often created to fit particular models of Earthmoving Wheel. 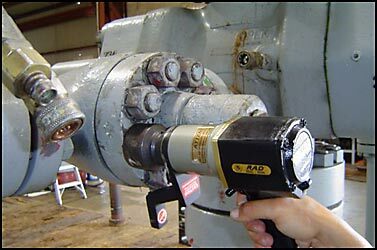 By extending the nose but keeping the Reaction Arm next to the socket, all the forces are held close together, thus the safety of the Operator is assured. 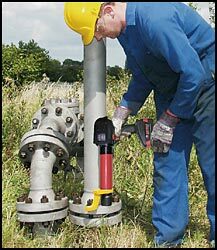 See Battery Nut Runner for the ultimate portable High Torque Wrench.